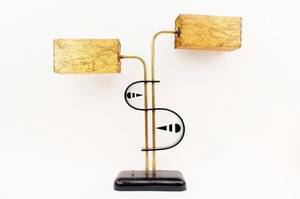 Modern S form lamp with two electrified lamp sockets surrounded by rectangular vellum shades with brown drip paint like markings. 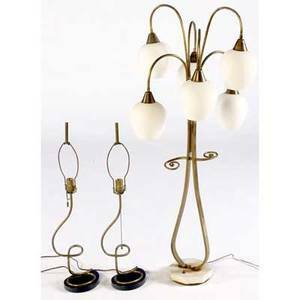 Base with two brass metal cylindrical shafts at center of black plastic serpentine S form further accented with ribbed clear plastic on interior and triangular accents. 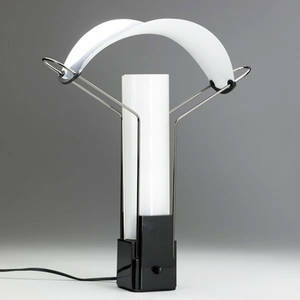 Lamp with curved black plastic rectangular base. 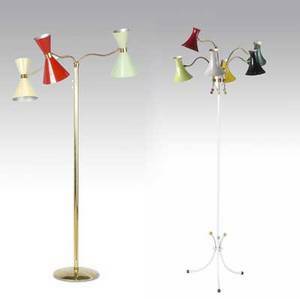 Overall height (to top of highest shade) 27.25". 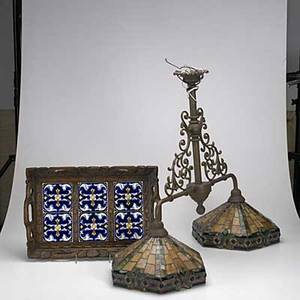 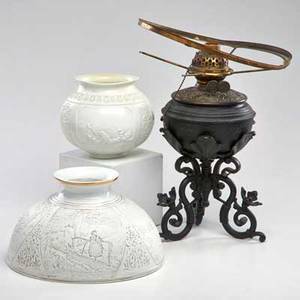 Electrified oil lamp; together with two lithophane shades, 19th c.; porcelain, reverse painted porcelain, iron, patinated metal; unmarked; lamp in as found condition; lamp: 14 1/2" x 8 3/4" dia. 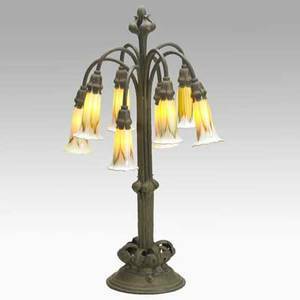 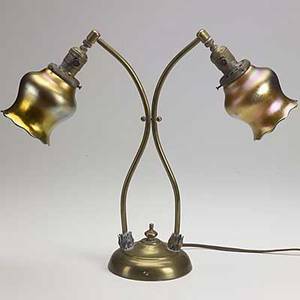 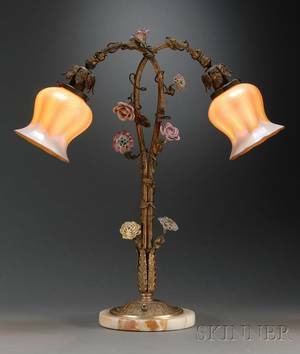 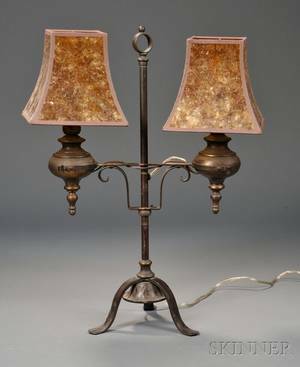 Steuben; two-stem brass lamp with gold aurene shades; shades signed steuben; 17"
Arts & crafts style group; tiled tray with carved wood frame and contemporary billiards table lamp with two leaded glass shades; lamp: 27 1/2" x 35" x 14 1/2"
Quezal; arts & crafts table lamp with eight quezal shades in pulled feather pattern; patinated metal and art glass; most shades signed quezal; 24 1/2" x 10 1/2", shades: approx. 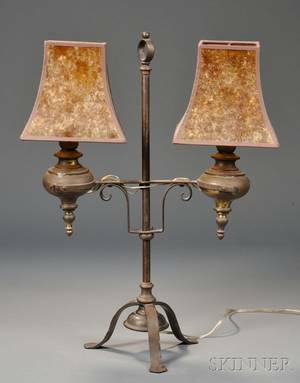 4 1/2" x 3"